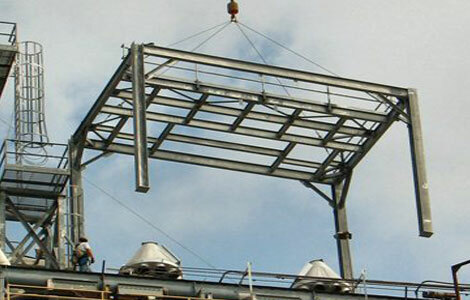 For over 30 years, Wolfe Industrial has provided custom metal fabrication, installation, maintenance and repair services for manufacturers all across the USA. We have built a strong reputation for superior workmanship and quality service. Since 1979, our highly trained craftsmen have taken pride in fabricating and installing complete systems, equipment and components for our customers’ air handling, material handling, piping and safety needs. With our broad industry experience, businesses of all sizes, including some of the largest Fortune 500 companies, trust Wolfe Industrial to help them complete their projects on time, on budget, and with the highest standards of safety and quality. 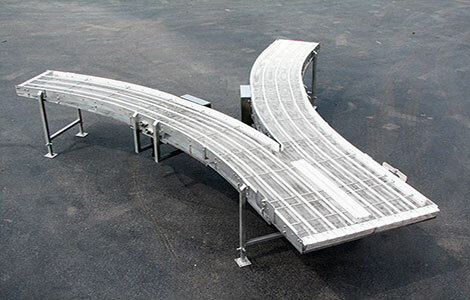 As a custom metal fabricator, Wolfe Industrial has the capability to fabricate almost anything made from metal, whether we start with your design or develop a custom design through a collaborative effort with you to meet your specific needs. We can also assist in re-designs or revisions with major or minor changes or modifications to your existing equipment. Wolfe Industrial fabricates with carbon steel, galvanized steel, stainless steel, aluminum, copper, alloys and various plastics. We specialize in stainless steel and heavy plate construction, and keep an inventory on-hand for your “RUSH PROJECTS”. 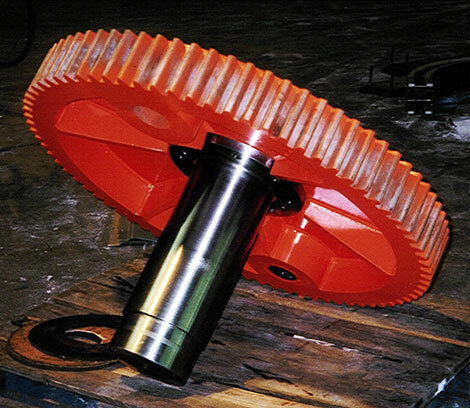 Our specially trained millwrights install a wide range of equipment in numerous industrial manufacturing environments. With proper planning, confirmed scheduling, precision fabricated equipment, the best installation equipment and tools, Wolfe Industrial’s Team Members are always prepared to handle your toughest projects. Wolfe’s insistence on creating and maintaining safe working environments guarantees you a professional job that is completed on time and on budget. That’s why major manufacturers all across the country trust Wolfe Industrial with the responsibility of handling their “Shutdown Projects” and “Emergency Repairs”. 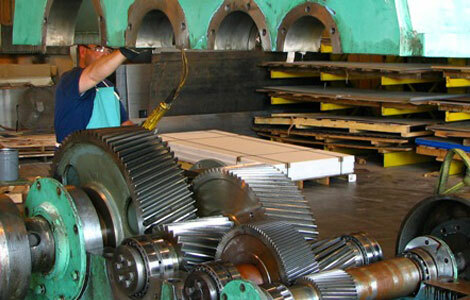 Wolfe Industrial can repair, rebuild or modify all types of your plant process equipment. Whether it is a minor repair, a much needed cost saving modification or a complete redesign and rebuild, Wolfe is ready to get started. When shipping a machine or piece of equipment to our shop for service is too expensive, Wolfe will provide skilled machinists and technicians at your facility to service your equipment on-site. Whether you need “planned downtime” or “emergency service” equipment repair, you can be confident that Wolfe Industrial will handle the entire scope in a prioritized manner. Custom machining capabilities consist of producing new parts, repairing, rebuilding or modifying existing parts. Fabrication of prototype machines or modification of existing machines to meet your specific production needs is a specialty at Wolfe. We offer precision machining with tolerances of .0001” using various materials. Wolfe’s inspection and testing makes sure your component parts or machines are ready for production when you receive them. Wolfe Industrial designs a wide range of custom equipment and products including material handling systems, specialty conveyors, dust collection systems, exhaust systems, pneumatic conveying systems, vacuum systems, structural platforms and access systems and plant safety components. All equipment and systems are designed using the latest version of AutoCad. 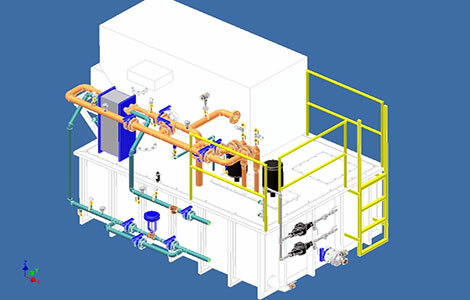 Inventor software is used for 3D drawings and automated simulation. Experience all the benefits of skilled, qualified labor without the headaches, overhead and hassles associated with conventional hiring cycles. Our contracting services streamline on-site maintenance, ensuring you always have the right personnel, materials and equipment. Our service contracts include supplying materials, equipment, and labor as required. Hours of service range from the typical 40 hour work week to 24/7 availability. One major benefit of our contracted maintenance service is that you do not have to worry about peak needs. Another cost saving benefit is we handle the HR roles including all interviews, testing, hiring, drug screening, safety training, supervision, reviews and separations. Keep operations running smoothly and let the experts at Wolfe Industrial handle your preventive plant equipment maintenance for you. to discuss your manufacturing challenges.